Airbus Helicopters has delivered the U.S. Army’s 400th UH-72A Lakota helicopter, fulfilling its contract requirements to date by delivering every aircraft on time, on budget and meeting the Army’s rigorous quality standards. The UH-72A is one of the key helicopter models the Army will operate for the foreseeable future. The Lakota platform is a versatile and highly capable twin-engine aircraft with a modern digital glass cockpit, flight controls and navigation systems. Army and Army National Guard units operate the Lakota in a variety of missions including flight training, surveillance and reconnaissance, medical evacuations, border security, VIP transport and disaster response. 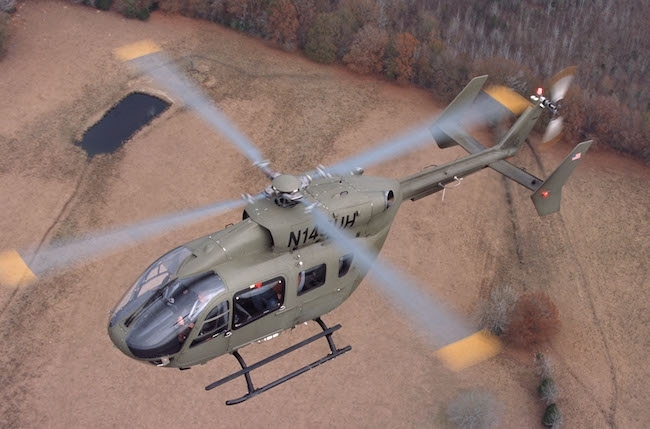 The UH-72A is proudly made in America, assembled at the Airbus Helicopters Inc. facility in Columbus, Miss. by a workforce that is more than 40 percent U.S. military veterans. Since the Lakota’s introduction, the Army and National Guard units have flown more than 460,000 hours with Airbus Helicopters Inc. providing materiel support that exceeded all of the contract requirements. In December 2016 the Army awarded Airbus Helicopters Inc. a five-year Contractor Logistics Support valued at nearly $1 billion. Airbus Helicopters Inc. will provide the support at Army and National Guard bases in 43 states, including Fort Rucker, and in Kwajalein, Guam, Puerto Rico and Germany.